Mechanical Characteristics - Shrink Temperature: 140°C min. FIT®-300 has a meltable inner wall for encapsulation without adhesives, thicker wall for added protection, high shrink ratios, and excellent dielectric properties. FIT® heat shrink tubing offers a reliable way to protect and seal terminations or add additional mechanical ruggedness. FIT® preferred heat shrink products are made from premium compounds under the tightest manufacturing controls. This means FIT® will consistently have excellent physical characteristics such as low longitudinal shrinkage and wide temperature ranges while providing an elegant appearance when used alone or on OEM equipment. 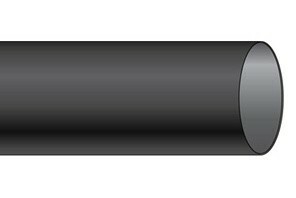 Dual-Wall SR-XLPO Heat Shrink Tubing 2.5:1 Shrink Ratio VW-1.